The violin is a stringed instrument that you play by pulling a bow across the strings. It belongs to the stringed instrument family that contains the same instruments as the viola, cello and the double bass. 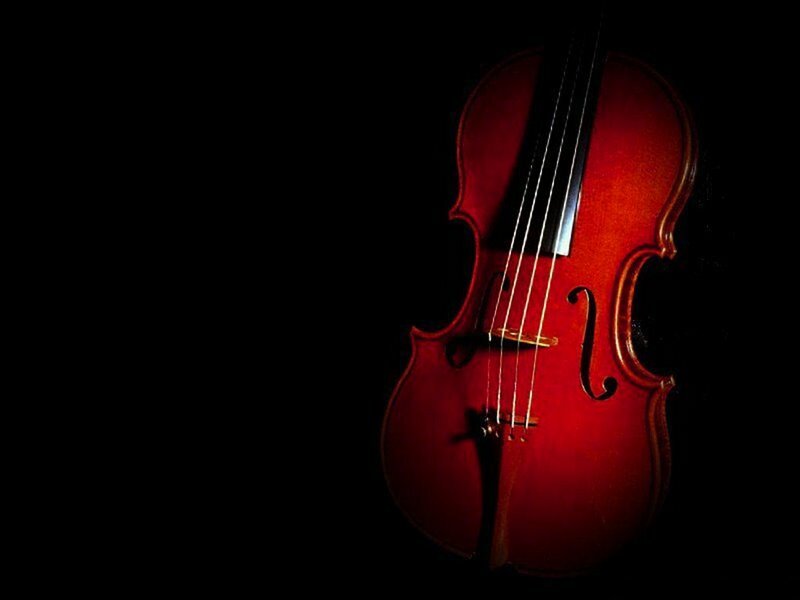 The violin is the smallest instrument in this group and the one with the highest sounding pitch. This musical instrument is essential when performing chamber music, but it provides for exceptional solo performances as well. A violin is a hollow wooden box with rounded ends and a narrow center. The front and the back of the instrument are slightly convex and connected to each other by the sides, also called ribs. There are four sets of strings on a violin that extend from a string holder at the bottom of the body, over a raised bridge to the end of the narrow neck, which is called the fingerboard. On the fingerboard, the four strings are inserted into a pegbox and are held there with pegs. The pegs are twisted in order to tune the violin, in much the same way as you tune a guitar, in order to raise or lower the pitch of each string. The bow is a long arched strip of wood with horsehair strings stretched along its length. When the bow is drawn across the strings on the body of the violin it produces a sound. The body of the violin is a resonator, which means that it amplifies the vibration produced by drawing the bow across the strings. There is a block of wood inside the body of the violin, called a sound post and this device helps to coordinate the vibrations of the front and back panels. There are two F-shaped holes in the table near the bridge that lets the panels vibrate freely. When a musician plays the violin, he/she must hold the neck of the instrument with the thumb and forefinger of the left hand. The left shoulder supports the violin and keeps it in the correct position of having the chin rest on a support located beside the stringholder. He/She grasps the bow with the right hand and draws it across the strings near the bridge. The left hand fingers press or pluck the strings against the wood in different ways to produce different c sounds or chords. This pressure shortens the string and raises or lowers the pitch.